Frank Black is a professional truck driver, having clocked up nearly three decades travelling the breadth of Australia. But every time he gets into his cab, Black thinks about driver fatigue; over the years he has lost several mates in fatal, avoidable crashes. 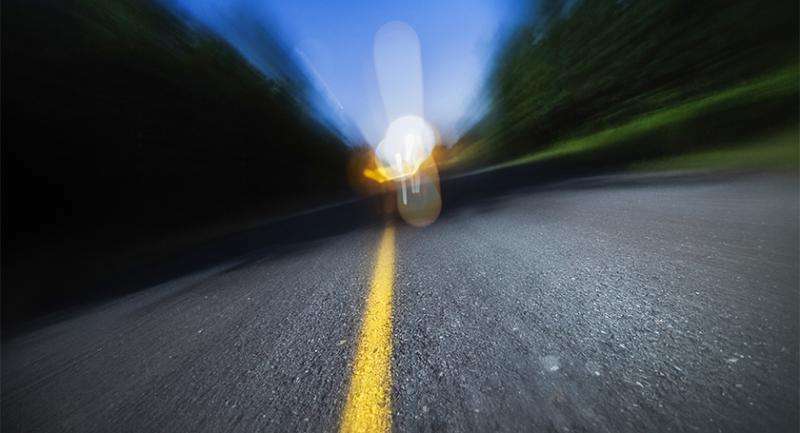 Fatigue in professional and recreational drivers leads to twice as many crashes as drink-driving and, in 2013, caused 18 per cent of fatalities on NSW roads, according to the government's Centre for Road Safety. It's also a deadly issue for train, plane and military operators. Education campaigns in NSW (and similarly worded ones in other states) encourage drivers to "stop, revive, survive". Around the world, researchers are working with car makers to develop in-built video cameras, seat and steering-wheel sensors and polycarbonate glasses, to alert drivers to fatigue. Associate Professor Sara Lal, of the School of Medical and Molecular Biosciences at the University of Technology, Sydney (UTS), is an expert in driver fatigue, and she and her team of industry-linked collaborators are close to producing a drowsiness-detecting system. They don't rely on one detector but combine several on-body and in-vehicle devices and use complex algorithms for higher prediction success. "With our hybrid system, we are hoping for accurate driver fatigue predictions of 90 per cent or more, which would be really ideal, without alerting the driver falsely," Dr Lal says. "Our system will also focus on their physiological signs, using devices such as a wristband that can monitor cardiac action, video cameras and seat and steering-wheel sensors." Many of the devices researched or already available concentrate on how the car is behaving (whether it is veering over the dividing line or decelerating) and the driver's physical signs – whether he or she is closing their eyes, or nodding their head, rather than more direct and predictable indicators such as muscle activity and heart rate. "We want to alert drivers about fatigue before it happens. If you're nodding off, it's already too late," Dr Lal says. Over several years, Dr Lal has collaborated with Dr David Burton and Dr Eugene Zilberg, both from Melbourne company Compumedics Ltd, which develops and commercialises IT-based medical products, and with Professor Thomas Penzel, from Charité University Hospital in Berlin, Germany. "What we are doing now is embedding intelligent software into devices and keeping the expense of the device down, so they are affordable," says Dr Zilberg, senior software manager of medical innovations at Compumedics. Already the combined UTS and Compumedics team has conducted multiple driver fatigue-related projects, and is working on the final stages to validate the algorithms before their hybrid detector is marketed for production. Dr Lal says she will be thrilled if these hybrid devices become compulsory in all vehicles, as airbags are, and not an optional extra. Such technology also has the potential to measure other health parameters, such as heart attacks, which might help prevent tragedies such as the 2003 train crash at Waterfall, south of Sydney. NRMA spokesman Peter Khoury says: "Broadly speaking, we are supportive of research like this which will reduce the number of fatalities on our roads. "However, there are already steps drivers can take when planning their trip – to stop every two hours. Nothing can replace taking stops when you are driving." As Frank Black climbs into his cab to drive from Sydney to Melbourne, he says discussions about driver fatigue detection skirt the bigger issue. "Most drivers know when they are tired and what the reason is … driver fatigue in professional drivers is because we are under way too much pressure to meet unrealistic deadlines from retailers." Michael Kaine, assistant national secretary of the Transport Workers' Union, says the big hope for professional drivers is the federally funded Road Safety Remuneration Tribunal, which is arbitrating between retailers and drivers for fairer delivery schedules and payment systems.